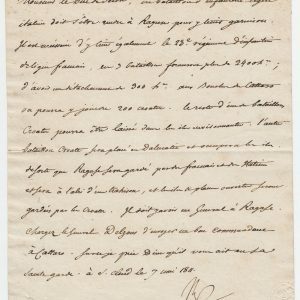 Autograph Letter Signed ‘M.Maryan’, to ‘Mademoiselle’, exchanging compliments about literature, pleased to know such a sympathetic reader, sending her autograph. In French. 3 pp. 6 x 4 inches, in good condition, tipped into paper folder. St Servan, 1 April 1891. 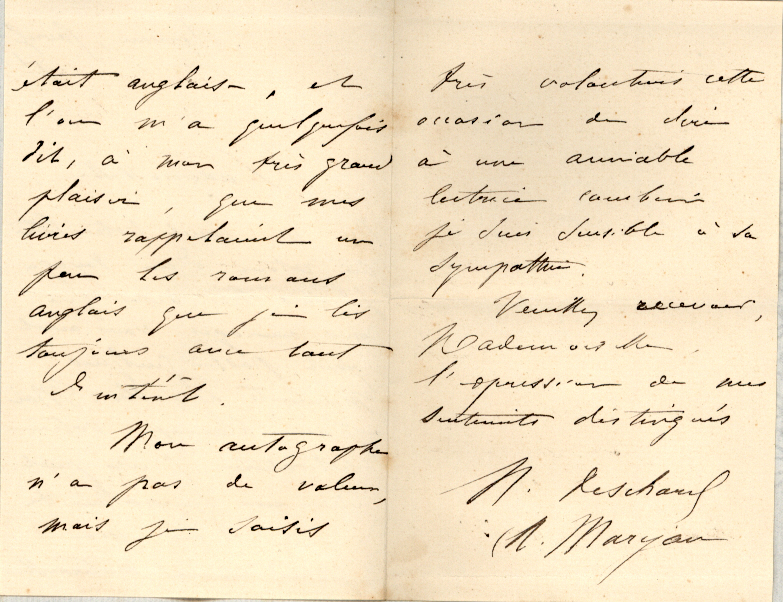 M.Maryan, a pseudonym (derived from the Christian name of her English grandmother, mentioned in this letter) adopted by Marie Deschard (1847-1927), prolific romantic novelist.